[TF2] TF2Ware - Wario Ware Microgaming!! Emulates the gameplay style of the WarioWare game series on Nintendo consoles. Links no longer work - Tf2ware domain expired. 01-23-2011 , 16:17 [TF2] TF2Ware - Wario Ware Microgaming!! TF2Ware is a custom SourceMod game mode and accompanying map that emulates the gameplay style of the WarioWare game series on Nintendo consoles. 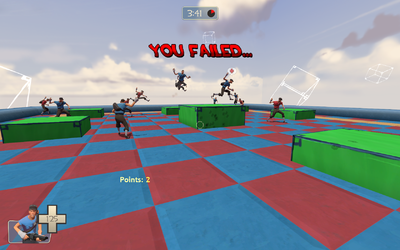 The gameplay within the map involves all players participating in randomly chosen 'microgames', simple tasks with short instructions and a duration of less than 5 seconds. Players are automatically changed to the class the microgame (or their role within the microgame) requires, are generally forced to wield a specific weapon (or whatever is currently in the required slot), and do not have any ammunition or cannot melee unless the microgame requires it. Players earn one point per microgame that they 'win', and as soon as one player has 18 points a Boss Stage is begun, which is longer (about one minute on average) and slightly more complex than the normal microgames, and always has a dedicated environment within the map. The player with the most points following a Boss Stage is given free rein to kill all other players on the stage, after which the flow of gameplay is looped and everybody's score resets to 0.
ww_enable (0/1) - Enables/Disables TF2 Ware. ww_force (0) - Force a certain minigame (0 to not force). ww_speed (1.0) - Speed level. ww_log (0/1) - Log server events? ww_special (0/1) - Next round is special round? ww_gamemode (-1) - Gamemode. 0 to force normal, 1 to force Wipeout. The issues will not be addressed as we have moved on to a sequel to this gamemode. Anyone can feel free to attempt to correct it. The issues are minor and should have no real significance. The map sometimes returns an inline error to clients joining late. This is a TF2 bug. Extract the files onto the server and fastDL. No, it will NOT work on a listen server. The latest source is available for anyone at the SVN repository. You will need an assembla account. Disclaimer: This material is provided "as is", with absolutely no warranty or support expressed or implied; not even the implied warranty of merchantability or fitness for a particular purpose. Last edited by Mecha the Slag; 04-15-2011 at 09:51. Visit Mecha the Slag's homepage! 01-23-2011 , 16:19 Re: [TF2] TF2Ware - Wario Ware Microgaming!! Last edited by Mecha the Slag; 03-06-2011 at 06:49. 01-23-2011 , 16:31 Re: [TF2] TF2Ware - Wario Ware Microgaming!! Just awesome. Thanks a ton for releasing! Last edited by iSimon; 01-23-2011 at 20:47. 01-23-2011 , 17:15 Re: [TF2] TF2Ware - Wario Ware Microgaming!! Good work Mecha, thanks for finally releasing it! 01-23-2011 , 17:56 Re: [TF2] TF2Ware - Wario Ware Microgaming!! No more info than that? Bread EOTL GunMettle Invasion Jungle Inferno will break everything. Don't even ask. All plugins: Randomizer/GiveWeapon, ModelManager, etc. Post in plugin threads with questions. Steam is for playing games. You will be fed to javalia otherwise. 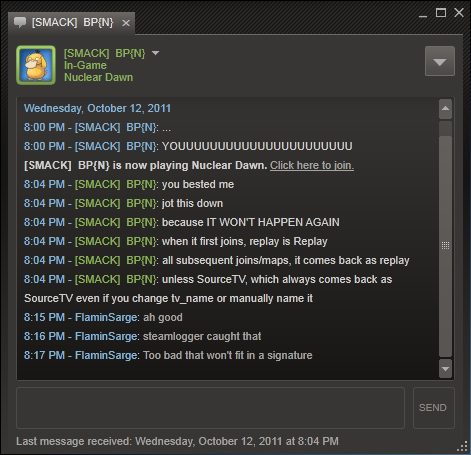 Last edited by FlaminSarge; 01-23-2011 at 17:58. 01-23-2011 , 18:08 Re: [TF2] TF2Ware - Wario Ware Microgaming!! Refer to the TF2Ware steam group for current public information. 01-23-2011 , 18:20 Re: [TF2] TF2Ware - Wario Ware Microgaming!! 01-23-2011 , 19:23 Re: [TF2] TF2Ware - Wario Ware Microgaming!! 01-23-2011 , 19:55 Re: [TF2] TF2Ware - Wario Ware Microgaming!! The latter rounds are far too fast and the syncing gets muddled up with sounds overlapping each other. When there are 2 bonus the latter one finishes early. In duel mode/wipeout, this is buggy in its entirety, i won with 2 -1 lives and another guy didn't even get a go, so the lives counter is wrong, and others aren't even getting a turn before someone somehow wins. The sounds are muddled as sejin pointed out. Last edited by Bury; 01-23-2011 at 20:20.